... the 1st day of NDC conference in London has brought a very interesting .NET-related announcement from JetBrains - the company is working on a new product - cross-platform, IntelliJ-based IDE for .NET, powered by ReSharper guts. Current code name: Project Rider. If you're not have spare 40 mins, official JetBrains blog post is available here. … for devs, for JetBrains & for Microsoft (& its products, like VS or Code). First, they are securing their investment in .NET platform. The future of ReSharper (& dotCover, rest is rather more safe) depended heavily on Visual Studio. As we all know, Microsoft can be … quite unpredictable with their decisions. 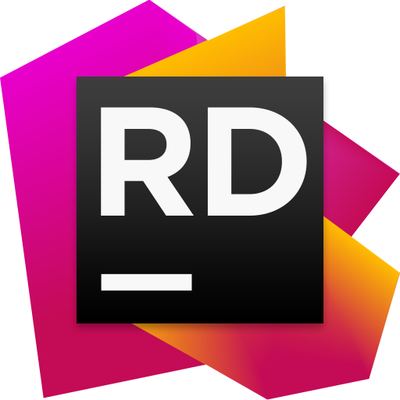 What is more, JetBrains has decided (& confirmed yesterday) to not switch ReSharper to Roslyn - that would decrease dependency on VS, but it's just too much of rewrite (plus: Hadi Hariri claims their stuff serves their needs better than Roslyn would). So having their own IDE, built on proven, stable foundation & dependent on .NET framework only, seems like a great idea. And the timing is perfect -> community has just started to believe that .NET can truly be cross-platform & it seems that open sourcing .NET really gets (gradually, step by step) the good vibe back to Microsoft stack. I believe that Microsoft has fully realized that the Visual Studio license fees are not nearly as important as popularizing & commoditizing .NET platform in dev community. Hence the introduction of Personal version (free of charge) & the appearance of Code. But until now it Microsoft was covering pretty much whole spectrum of .NET IDEs on their own - they were free to adjust the balance (functionality VS pricing) to control cannibalization or user confusion. other / custom designers (WF, etc.) as community plug-ins (at best;P), etc. It's simple - it's always better to have a choice than not to. In this case -> we pretty much know what we can expect (I mean: "we" = these ones who have used IDEA, WebStorm, etc.). Not much will change for Windows development (except of having a choice & potential price drop), but Project Rider may be a game-changer for non-Windows .NET development. Full-blown, feature-rich IDE (instead of neat, but still crude & simple Code) may make .NET on Linux/OSX a valid, "enterprise-ready" (yea, I hate this phrase too) alternative for JVM. It won't be the .NET we've known & loved, but who knows - we may love it even more, due to higher degree of freedom in shaping solutions of tomorrow. Well, let's keep the heads cool - Project Rider won't hit the market until Autumn 2016 (unless you want to go with EAP, which should be available not earlier than late Feb). We still don't know anything about licensing (but separate product license is quite possible, with an option of discount for ReSharper users) & the range of supported project types (but we already know that "traditional" msbuild/csproj projects will be supported - that is already more than what Code does). There will be a full NuGet support (which is not ready yet). IntelliJ tooling for unit testing framework support will work. Strong support for web development will be available (incl. TypeScript) - but this is not a big surprise as JB are gonna re-utilize what's already available for IntelliJ.